PRICE REDUCED!! PRICE REDUCED!! 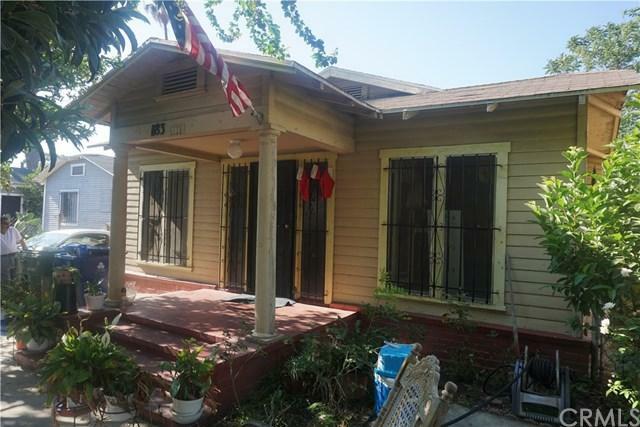 USC student housing property located at 1183 West 37th Drive in Los Angeles, CA in the coveted 90007 zip code. The subject property is located less than one block from the University of Southern California's main campus, within the DPS and CSC patrol areas and is walking distance to Exposition park which is home to the world-famous LA Coliseum, the brand-new LAFC Banc of California Stadium and the under-construction $1 Billion George Lucas Narrative Art Museum. The property is also located within walking distance of the Metro Light Rail Expo Line, servicing both Downtown LA and Santa Monica. The asset currently consists of a 1,036 square foot two bedroom/one bathroom house with a large living room, dining room, and den as well as a laundry room. The property would likely be as a tear down for new student housing construction. There is significant development value in the 4,000 square foot LARD2 zoned lot. By-right, the property would support a new development of 2 new units (buyer to verify with the city) The property is located in the Tier 4 eligibility zone for a TOC project but is too small by-right to qualify as-is and would require an assemblage to access these bonuses.The property is owner-occupied and will be delivered vacant. The property offers an investor the flexibility to operate the existing improvements as a student housing property while moving forward with the planning process for a new development.